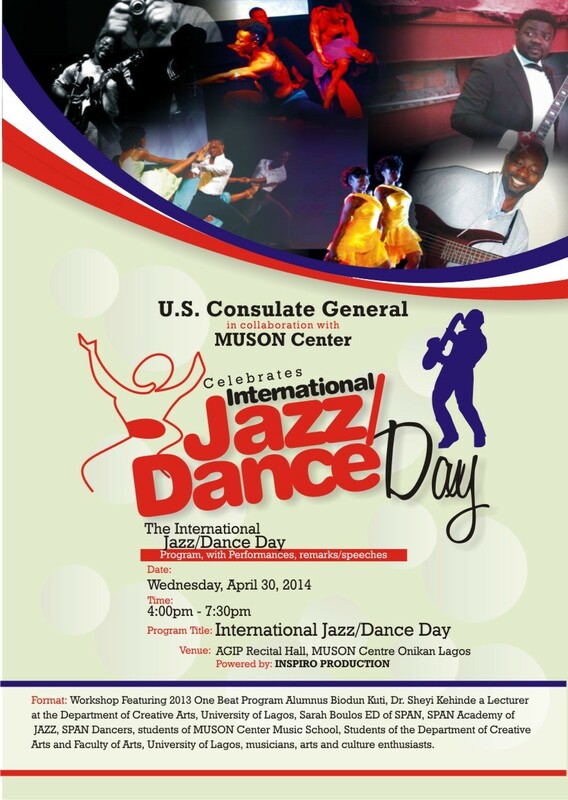 Some real JAZZ will be going down tomorrow, Wednesday as U.S Consulate General in Collaboration with The MUSON Centre [Music Society of Nigeria] celebrates ‘International Jazz/Dance Day’. 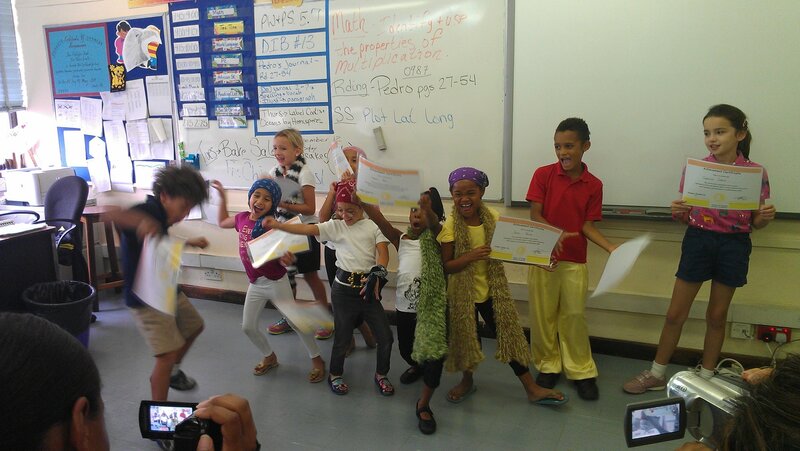 Students from the SPAN Academy of Jazz will be Performing as well as SPAN Dancers. You Don’t want to miss this!! The event will also feature workshops and performances by the 2013 OneBeat Program Alumnus Biodun Kuti, Dr. Sheyi Kehinde a lecturer at the Department of Creative Arts, University of Lagos, and students of the MUSON Center Music School. Zumba Master Classes with Lucas Mthejane This Weekend!! Here’s something you shouldn’t miss! 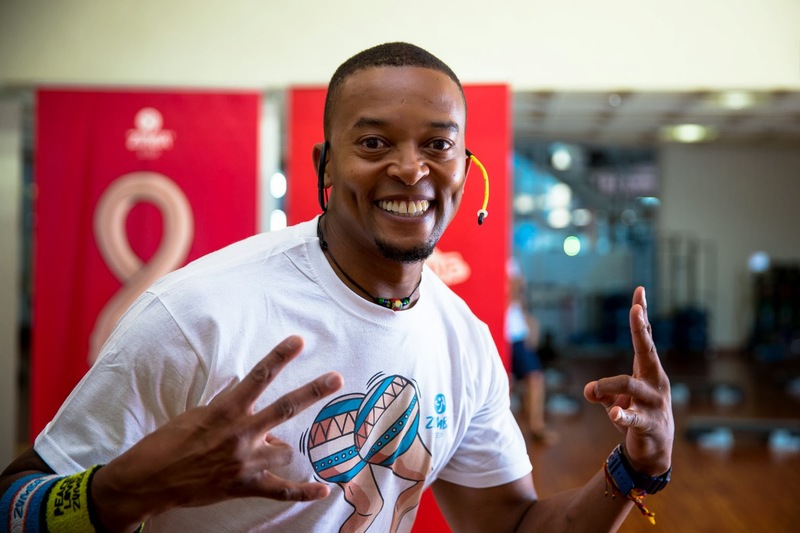 Zumba Education Specialist, Lucas Mthenjane, will be in Lagos this weekend to offer Zumba master classes! DATE: Saturday, April 26, 2014. 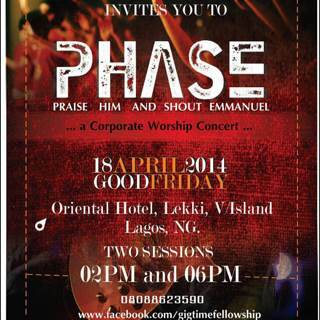 VENUE: SPAN center,1 Abuja Street, Banana Island, Ikoyi, Lagos. 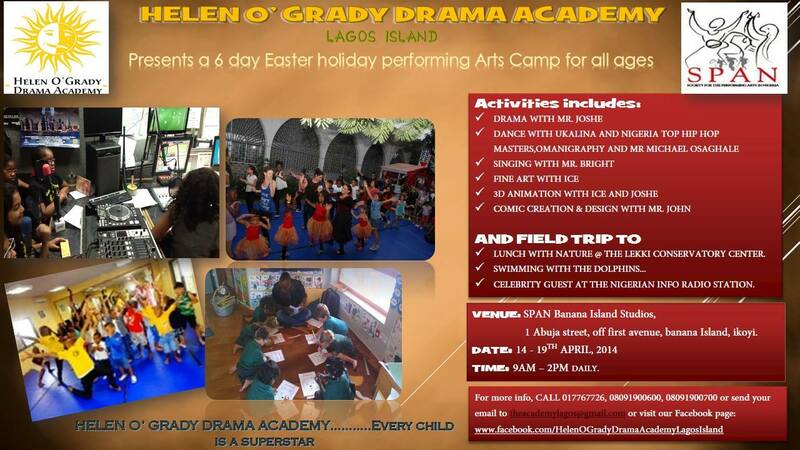 1 child above 5years old with every parent gets free admission. Private booking also available. Limited spaces, so get your tickets now! For more information, please call 01-7767726 or send an email to info@spanigeria.org. Zumba involves dance and aerobic elements. Zumba’s choreography incorporates hip-hop, soca, samba, salsa, merengue, mambo and martial arts. Squats and lunges are also included. Approximately 14 million people take weekly Zumba classes in over 140,000 locations across more than 185 countries round the world. 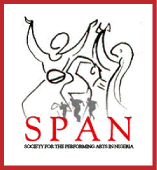 SPAN, ‘Society for the Performing Arts in Nigeria’, is the One-stop destination for Performance Art: Dance, Theater, Music, and Visual Art …We Perform Wonders! 3. CELEBRITY GUESTS AT THE NIGERIAN INFO RADIO STATION. This exciting experience for the kids is ongoing and comes to an end this weekend as the children give presentations of all they’ve learned. Yipeee! !